Where are you from? Born and raised in the small village of Veberöd, in the middle of nowhere. Where do you currently live? In Malmö, been living here for the last 20 years. Family / kids? Me and my girlfriend, Carolin, are actually expecting our first kid in November. Going to be a Rasmus 2.0. Super excited and happy about it. What are you doing right now/ this month? Right now I’m at the office working on graphics for some new Streetlab prints. Hopefully it will result in a new Streetlab board series. Later this month I’m starting my vacation for 4 weeks. We are taking about booking a last minute flight to Mallorca or something like that. Just getting away from the city. Also a lot of good beers in the sun and try to skate as much as possible. The combination of those two is hard to beat. Having a child doesn’t necessarily mean you have to change everything you do, but I’m well aware that it will definitely change a lot of things. Being able to do what you want, when you want is a privilege. I’m working at Streetlab Skateboardshop in Malmö, Sweden. Been working there for almost 13 years. 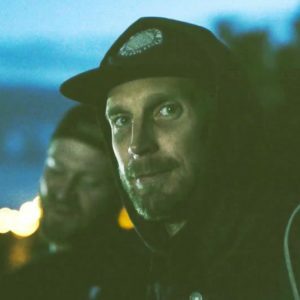 Streetlab was started by a close friend of mine and we are proud to be one of the few skater owned and skater run shops in Sweden. I often feel lucky for being able to do the things I do and work at a place like this. We are only 3 people working at Streetlab which means that the daily work changes much from day to day. Everyone is involved in everything regarding the shop, but my main job is graphic design, running the webshop and buying. Coming from a background of graphic design, and been skating for more then 20 years, makes this job perfect for me. It’s not going to make you rich but as long as you are able to pay the rent and have some money left for beers it’s all good. 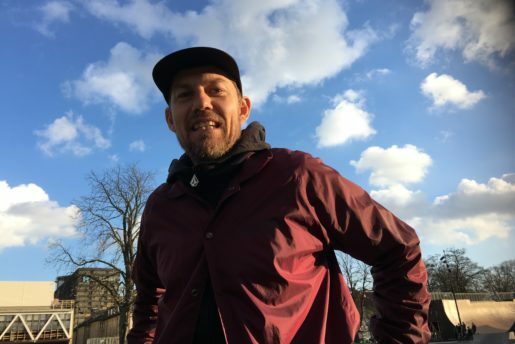 The only downside of it is that you’re getting an insight in the skateboard industry, which is not always good, and as a shop you are sometimes forced to be a part of that. 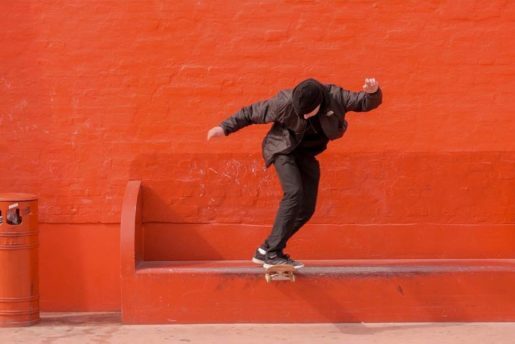 Making the shop survive, and at the same time please skateboarders and keep it “core” is not easy. Skateboarders are hard to please. Are you a brew man? Most definitely! Never been that much into drinks or cocktails. I always drink fast, no matter if it’s water, coffee or any other liquids. Going to a bar drinking cocktails would ruin me and also get me really drunk. Sometimes I envy people that are able to be sipping on a drink for an hour. For me it’s more like 10 minutes and then it’s done. Enjoyed the drink but still thirsty. Wine is good, if I’m out of beers. Christofer Eliasson, Johan Ahlgren, Jesper Nordberg, Rasmus Sjölin. Missing in picture: Daniel Elfgren. How come you got into brewing beer, tell us the background? Kind of a long story. We are a group of friends that have known each other since childhood. Because of different things such as moving, changing interests and getting children, we don’t get together as much as we used to. A natural thing I suppose. But a couple of times each year we meet up and drink a few beers. 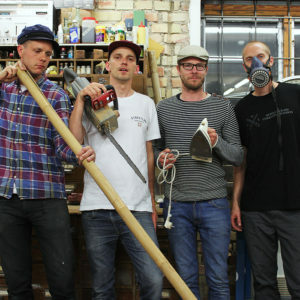 One guy, Christofer Eliasson, is a carpenter and got his own woodshop, and that place became a good spot for us. Another friend, called Henrik Christoffersson or the brew master, had been brewing his own beers for a while and we thought that could be a fun thing to try out. Drinking beers while brewing beers! We bought the ingredients and he came down to the woodshop with a recipe and some gears. The result was really good and we got hooked. For our first batch we needed about 50 bottles to tap the beer into. Instead of buying empty bottles we bought 50 beers. Prefect we thought. That way we have enough beers to drink while brewing. None of us remembered much about the brewing process the next day. We were 4 people. 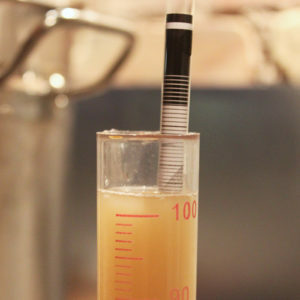 After some trials and errors we managed to get things right and our little homebrew was started. What is the name of your beer? We call ourselves “Vita Villan Brewing Co”. Translated this will be “The White House Brewing Co”. The woodshop were we do our brewing is a small white house. What is the future plans for brewing ( more) beer? No big plans for us. We are happy just brewing for private drinking and for the fun of it. All of us have full time jobs and brewing in a larger scale would take so much more time. Being commercial would give us another kind of pressure and it could easily start feeling like a job instead of fun. Of course we have sometimes talked about what it would take to make it bigger and to be able to sell to local bars and shops. Without making any promotion about Vita Villan we have had some interests about our beers and if possible to buy. There’s a big interest in micro breweries nowadays. Were a bit surprised when asked if we were taking interns. Haha! Helping us drink beers? The rules and regulations about making commercial beers in Sweden are also strict. We would probably be forced to move to different location and change our entire setup. But if we did, it would possibly be the best beer in the world. But for now we are continuing making our homebrew for ourselves. Best Swedish beer around? Best Danish beer around? Best beer in the world? Wow, that’s a difficult one. So hard to name the best. There are many factors and different situations affecting my choice of beer. On a summers day a cold weissbier or a basic lager is good, and on a cold day I just want to sit in a leather sofa drinking a stout, which also works well if you are a bit hungry. But normally I always go for the pale ales. Really like single hop ales as well. For Swedish beers I usually go for Oppigårds or Nils Oscar’s beers when buying in shops. Oppigård have a really good Single Hop Ale. A few beers ago we brewed a Single Hop Amarillo Ale at Vita Villan which came out good. There’s also a really good micro brewery outside of Malmö called Brekeriet. Their beers are always good, but you need to go to bars with a good beer selection to find these. I must say that I’m not that familiar to the Danish breweries, except Mikkeller and Norrebro of course. Mikkeller makes a lot of good beers and I love going to their bars for beer tasting. When we were younger we always drank Carlsberg in Denmark. So stoked on going to Copenhagen to skate and be able to buy cheap beers at the supermarkets. As you may know, selling beers in Sweden is controlled by the government and you can only by beer in special stores called Systembolaget, except for bars. Coming to Copenhagen and buying a Carlsberg in the supermarket was the definition of freedom for us. Now I have to say that the regular big Swedish breweries like Pripps or Åbro taste better the your regular Carlsberg or Tuborg. Best beer in the world is impossible to say. The beer I can remember as one of the best I have tasted was a beer I drank at the Copenhagen Beer Festival. It was a beer from the American brewery called Boneyard Beer in Oregon. If I remember correct it was their RPM IPA. Are you living the ( beer) dream? Right now I have to say I do. There are always things that could be better, but a hell of a lot of things that could be worse! I’m a simple man enjoying simple things in life. What would be your dream beer project? I would be fun to do a Vita Villan guest beer for a bigger brewery. Get access to a proper brewery and their production set-up, and to be able to make a larger amount. For example make a Mikkeller x Vita Villan Limited Edition beer. It seems a lot of swedes are brewing home beer, is it a trend, hobby, or a “need “? I would say that homebrew has become a big thing world wide, not just in Sweden. The DIY (Do It Yourself) trends overall have become big in many different areas. Nowadays everyone is a semi professional chief, artist, barista and so on. If you turn on the TV you’ll get flushed with shows about how to do things yourself. We also tend to be more aware of the things we eat and drink and how things effect us, our health and the environment. We want to know what we put into our mouth and were it came from. Swedish people have always been fast on adapting trends and hypes. But we are at the same time likely to throw them away just as fast. That’s why it’s hard to find bars and shops with a genuine history and a proud heritage. Every place is trying to be up to date with the latest trends, but as soon as they are done redecorating or changing their style, they are old news. But of course, if you have an interest in something then learn more about it and try for yourself. Keep drinking beers, try new ones, and why not make you own. Thanks Rasmus, dope brew !! MALMØ BEER ! dopeshit !